Leon Tafoya is a lifelong resident of San Fidel, NM and is currently the Mayordomo of Acequia San Jose de la Cienega for 7 years and former president. Leon's father was a chef for the Harvey Houses on the Rail Road for 14 years until he opened up his own restaurant in the 1940's called the Acoma Café. Leon grew up on Route 66 and close enough to his grandmothers ranch in San Jose, teaching him the traditional ways of farming and living. Leon and his family continue to farm on their grandmother's property today and are grateful for work and inheritance of their ancestors. Leon remembers as a child going to his grandma's house, "the corn was so high I could barely see the road but times have changed and now all you see is restaurants and grocery stores. I have lived here my whole life and we still use the water the same way our ancestors did! Our vision and hope for the future is that we can still use it and continue to live this way for decades. We thank God every day!" !" Leon is supported by his wife of many years, Beverly Tafoya, who regularly attends meetings, workshops and other events with him. Beverly proudly submitted the following summary for the Acequia Community Spotlight. What is the history of your acequia, as you know it (or as you've been told)? The earliest record we have on file for our Acequia is 1806. Leon Tafoya, member of the San Jose Regional Acequia Association, recalls stories of his great-grandfather, Gorgonio Figueroa and village residents who in the early 1800s were instrumental in establishing the water channel still in use today. One story that Leon's grandmother told was that Gorgonio was a son to a woman who was captured by Apaches from today's town of Ceboyetta. With great struggle she finally escaped and hid in the town of Cubero, whose soldiers finally defeated the Apaches. This woman was the mother of his great grandfather Gorgonio who later moved to San Jose to live and thrive as his ancestors once did in Mexico. Water was diverted from five springs located at La Cienega atop Mt Taylor into San Jose Canyon. The original dam constructed below the Cienega burst in the early 1900s and was never rebuilt. We now store our water in a smaller reservoir located in San Jose closer to the village of San Fidel. Some of our traditions include cleaning of the springs, limpia, agriculture, and our Acequia Blessing. Our water flows year round. We are blessed to be stewards of these wonderful springs. 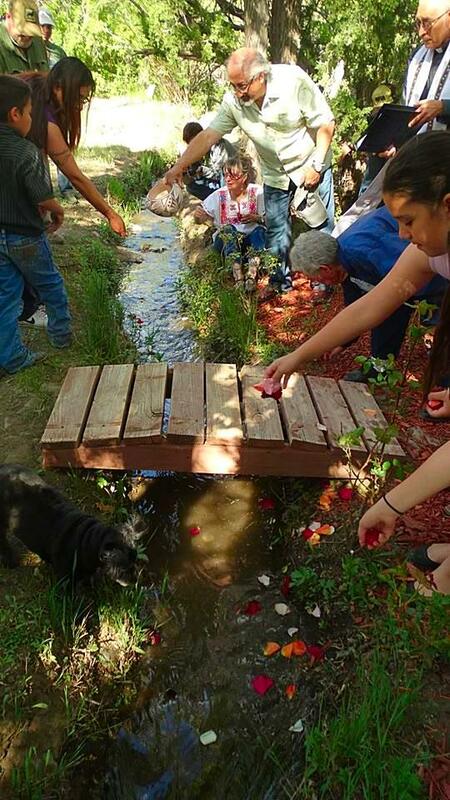 Communities in New Mexico as well as ours, San Jose De La Cienega Acequia, San Fidel, still follow centuries-old traditions that came from Spain with ceremonial blessings for the waterways that give life to the crops. 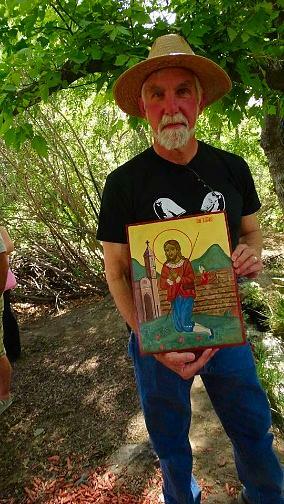 We honor the May 15 feast of San Ysidro, patron saint of laborers and farmers, with a blessing of our Acequia Madre. The Blessing reaches all parciantes fields which include a beautiful vineyard, alfalfa fields, lavender fields as well as many orchards and gardens along the way. Father Alberto Avella bestows the blessing while Parciantes bring rose petals to be blessed and sent down the channel. From the blessing area, the petals flow downstream to the farms providing a blessing for all the fields. It is a cultural tradition and this special event brings the community together. The community joins together after the blessing for traditional food and fellowship. 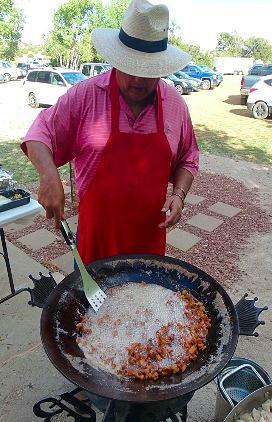 Green and Red Chile and we cannot forget the chicharrones! This event is very special and important to all of us sharing this water, this is a traditional and cultural event very special to the village community. Nuestras Aguas are life.